The Vostro family of PCs is designed to give you everything you need and nothing you don’t. Whether you’re balancing the books, ordering inventory or managing payroll, the easy-to-use Vostro family of PCs is dedicated to helping your business thrive. This brand delivers reliable security, simple productivity features, outstanding support and exceptional affordability. Vostro is Cost-Optimized, But Quality is Never Compromised: Thorough Testing and Validation: We use up to 50 different kinds of RSV (reliability, shock and vibration) testing programs. Third-Party Certification: Dell obtained 500K Hours Mean Time Between Failures Certification in China for desktops. Solid Quality Metrics Improvement: The Vostro desktop field incidents rate (FIR) trend improved by >30% from fiscal year 2011 to fiscal year 2016. The Vostro notebook FIR trend improved by ~40% from fiscal year 2011 to fiscal year 2016. 14- and 15-inch Laptops Ideal for Professionals at an Excellent Value: This essential performance laptop is powered by the latest energy efficient, ultra-low voltage Intel processors up to 7th Gen Core i7 performance. For more demanding graphics-rich applications or uninterrupted multi-tasking performance, you can opt for the built-in discrete graphics from AMD with 2GB DDR3L vRAM for a performance boost. Having up to 2 SoDIMM 16GB DDR4 memory (not available on model 3562) is great for multi-taskers who keep several applications open at the same time and switch between them. Your laptop stays quick and responsive, unlike older systems with less memory that bog down and crash. Extra Security: Log in quickly and securely without having to use a password with the optional, Windows 10 Hello biometric recognition feature. Feel confident that your data and your system is well-protected against malware and cyber threats with Windows 10 and preloaded security software solutions. Optional hardware TPM delivers commercial-grade security by providing hardware protection and storage for encryption keys. It is used by various pieces of software (WiFi, hard drive encryption, etc.) to verify that your device is unique and trusted by other devices on the system. Plenty of Ports: The HDMI port allows you to connect your laptop to an external monitor or big-screen TV to view content in up to FHD / 1080p resolution for stunning detail. The VGA port ensures maximum protection of your existing technology investments. The two USB 3.0 ports transfer files up to 10x faster than USB 2.0 ports, saving you time on large file transfers between your laptop and external hard drives or networks. The SD media card reader allows you to insert a media card into the laptop’s card reader slot to transfers files from your camera or video recorder. Great Storage: Big hard drives up to 1TB 5400RPM HDD and 512G SSD (on model 3468) allow you to store your content with less worry about running out of hard drive space. The available built-in DVD drive lets you burn videos and music onto readable/writeable DVDs for extra storage and scalability. You can also play DVDs/movies, rip music from CDs, and conveniently load software, applications and data onto the laptop. Easy on the Senses: The array of colors makes the Vostro 14/15 3000 more visually outstanding to keep you looking good. Available FHD 1080p resolution (3568 only) gives you the best front-of-screen experience. Collaborate remotely or take your meetings online with the built-in HD webcam and Waves MaxxAudio Pro audio enhancing software. Your customers will be impressed by this video conferencing solution that reduces background noise and boosts audio clarity. Extra Assistance: Using Windows 10 Cortana with a Dell PC equipped with Waves MaxxAudio Pro lets you easily interact with your own personal, digital assistant. You get a natural voice interaction experience so you have the freedom to multitask and get through your to-do list more quickly. Support for Unmanaged IT Environments: Choose optional Dell ProSupport for 24×7* direct telephone access to advanced-level technicians based in your region. Whether you have one office or hundreds around the world, protect your investments with this simple yet flexible approach. Office 2016: Provides top-of-the-line tools to help stay organized, connected and competitive with Word, Excel, PowerPoint and OneNote. Adobe: Converts PDFs to Word, Excel or PowerPoint formats while preserving fonts, formatting, and layouts; access and share recently viewed PDFs from computers or mobile devices. We keep you connected and productive, providing peace of mind so you can focus on what matters most. Support services are available around the globe with coverage in over 160 countries and 55 languages. Our ProSupport engineers are available 24×7 to help with hardware and software issues. In the event of spills, drops or breaks, Accidental Damage Service makes repair easy. 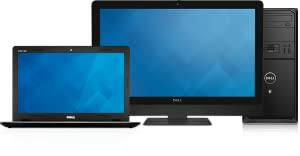 Dell strives to ensure our customers always get the most out of their technology investments. 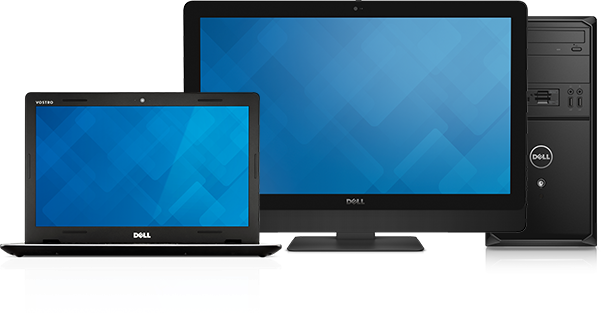 Dell ProSupport: ProSupport for client devices is designed to provide fast, proactive IT support for businesses of all sizes. 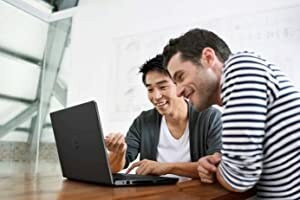 Dell ProSupport makes it easy because you get a team of engineers who are always accessible, provide you with a single source for hardware and software1 issues, and respond quickly to help maximize user uptime. ProSupport also features SupportAssist technology for proactive monitoring and detection of issues and automatic case creation for faster resolution2. Dell ProSupport frees your IT team from time-consuming day-to-day user support, allowing them to focus on strategic priorities that move your business forward. ProSupport Plus for PCs and Tablets: The only complete support service that combines predictive analysis and protection for tablets and PCs to proactively resolve and prevent issues with minimal customer effort. It ensures PCs and tablets are running smoothly so customers can focus on what’s important. Dell ProSupport Plus with SupportAssist significantly reduced time to resolve a failed hard drive* with: [AD#16000041]. Accidental Damage Service: Coverage for accidental drops, spills, surges and breakages. Dell Accidental Damage Service provides peace of mind for hardware systems in high-risk usage environments like schools and mobile professionals. Convenient repair of damaged systems helps minimize downtime and increase productivity. By providing enhanced coverage at an exceptional value, Dell Accidental Damage Service helps reduce out of pocket expenses and improve cost control. The Vostro family of PCs is designed to give you everything you need and nothing you don’t. Whether you’re balancing the books, ordering inventory or managing payroll, the easy-to-use Vostro family of PCs is dedicated to helping your business thrive. This brand delivers reliable security, simple productivity features, outstanding support and exceptional affordability.Vostro is Cost-Optimized, But Quality is Never Compromised: Thorough Testing and Validation: We use up to 50 different kinds of RSV (reliability, shock and vibration) testing programs.